Logicalis, the company selected in January 2012 based on a Request for Proposal process to design, procure and implement the ICT infrastructure for State Records NSW’s Digital Archives project, has published a media release about the project. As posted on Future Proof on 14 February, Logicalis will work with State Records staff in the Digital Archives project team to design, procure and implement an integrated ICT solution which will form the ICT plaftorm for the Digital Archives project. This ICT platform includes integrated server, storage and virtualisation technologies. 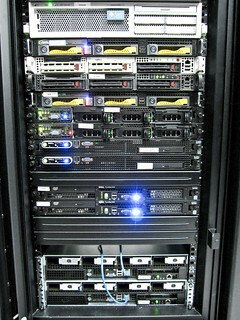 Work on the Digital Archives ICT platform has begun with implementation scheduled for April 2012. The Digital Archives will be located in State Records NSW’s purpose built storage facilities at Kingswood. A copy of the Logicalis media release is available for download.